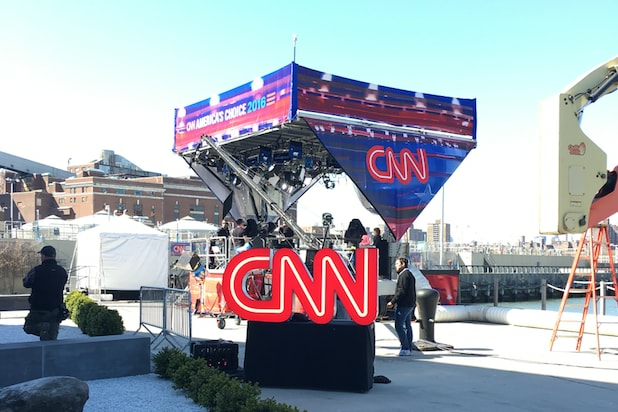 Thursday’s CNN Democratic debate from the Brooklyn Navy Yard is New York’s first presidential primary debate in a generation. Hillary Clinton and Bernie Sanders faced off in front of a jam-packed room of supporters and VIPs. The heated discussions including moderator Wolf Blitzer grilling Sanders on releasing his taxes, Sanders hitting Clinton over Iraq and her willingness to take large sums from big banks, and Clinton hitting back at him for recently questioning her qualifications, were all aired live on CNN. But what went on behind-the-scenes? 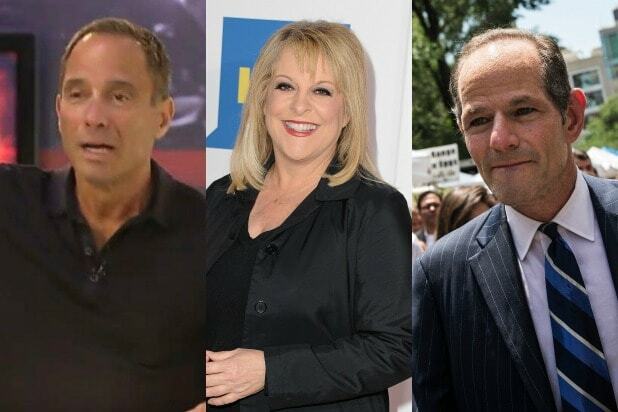 TheWrap was on location and reveals five things you didn’t see on TV. CNN has credentialed nearly 600 reporters, including all of the media world’s major players. Spike Lee, Governor Andrew Cuomo and New York City Mayor Bill de Blasio were been spotted. The folks from Funny or Die are even filming a video in the crowd. One person who isn’t in attendance is CNN’s Don Lemon, who is back at the New York studio just in case something bad happens with the feed from Brooklyn. In sports, they say there is a “no cheering in the press box” unwritten rule. Well, the reporters covering the Democratic debate must follow the same code of ethics. When boos, cheers and laughter erupted from the debate next door it didn’t impact the mood in the media lounge one bit. Everyone is quietly typing, eating – or both. Bernie Sanders’ senior advisor had a massive crowd around him in the Spin Room before the debate started. Media members surrounded him like fans used to swarm Michael Jackson in his heyday. Nobody drew a bigger crowd and reporters seemed to hang on his every word. The Brooklyn Navy Yard sits on the East River and CNN’s set is located with the Williamsburg Bridge in the background. If you turn around and face the other direction, you see a clear view of the new World Trade Center, making it one of the most stunning pieces of property in New York City. Sadly, the numerous security checkpoints make it too annoying to go back outside and take in the scenery. Brooklyn Roasting Company supplied free iced coffee in assorted flavors and media members were taking advantage. It’s strong and there is a ton of it. “I’m a little too jazzed up,” a CNN exec who didn’t want to be identified told TheWrap. The bathrooms were “luxury toilet trailers” that included framed art. Giant hipster-looking barrels and bags of coffee beans were around the warehouse-turned media room … it was unclear if they’re always here or it they were brought in as a prop. To cap it off, gourmet food trucks line the outside of the media facility. Gorilla Cheese, La Bella Torte, Yankee Doodle Dandy’s and Deli & Dogs are among the highlights. Oh, we also spotted someone rolling a cigarette. Seriously.